Capcom's big GamesCom surprise, futuristic action game Remember Me, has one of the most fitting titles in recent memory, given the fact it was actually first unveiled last year. With, of all things, concept art. 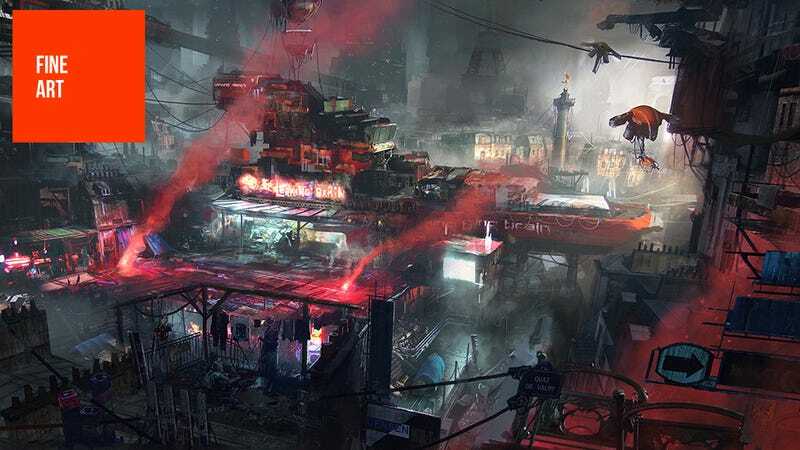 Where Adrift's unveiling was all about desolate cityscapes, some updated art for the more official announcement by Dontnod's team - which includes the likes of concept art legend Aleksi Briclot and Paul Chadeisson (who we'll feature here on Fine Art very soon) - is more personal, bringing the game's starring character to the fore. You might notice, too, that things are looking slightly brighter and more colourful. Where the original art was a sea of blacks and deep blues, Remember Me's art has splashes of bright, vibrant colour, especially on the piece that's being tentatively used as the game's box art (the ORANGE one). The images below are all brand new, released to coincide with Remember Me's "announcement". To see more art from the project though, check out these pieces from last year's GamesCom.